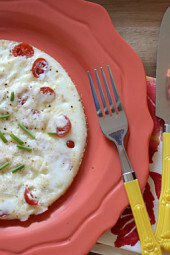 A quick and easy breakfast made with tomatoes, egg whites, mozzarella, and parmesan cheese. Lots of flavor, low in carbs and takes just minutes to make. 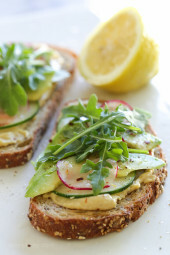 A perfect breakfast for Meatless Mondays! More quick omelet ideas that I love are Goat Cheese Herb Omelet with Nova Lox, Loaded Baked Omelet Muffins, and Open-Faced Omelet with Avocado and Pico De Gallo. Hope you all had a great weekend. Mine involved lots of family fun, Scooby Doo live in Manhattan, a shopping spree at the mall with my teen, a play date at Bounce-U and celebrating my brother’s birthday. Oh yeah, and a trip to Target! I seriously love Target! Spring is definitely in the air at Target, and I just wanted to redo my entire home with all the fabulous Spring color designs that are out. Instead, I just went with new flatwear, dishes and napkins from the Threshold coral collection in hope that Spring will arrive a little sooner this year, because I am soo over the cold. Back to my breakfast, this is an excellent low carb breakfast idea, my husband said it reminded him of a breakfast pizza. 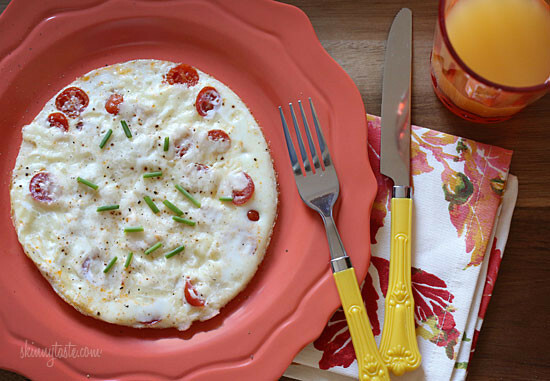 Next time I make this, I’ll top it with fresh basil and call it a margarita omelet. Enjoy! 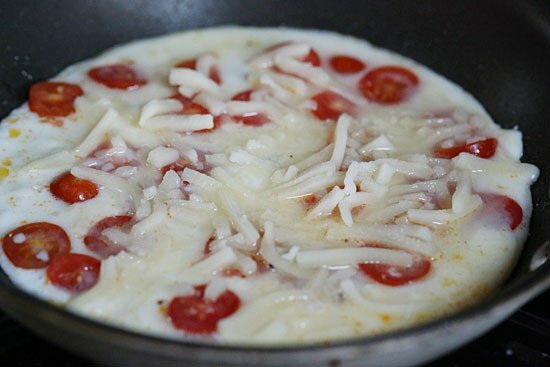 A quick and easy breakfast made with tomatoes, egg whites, mozzarella, and parmesan cheese. Lots of flavor, low in carbs and takes just minutes to make. 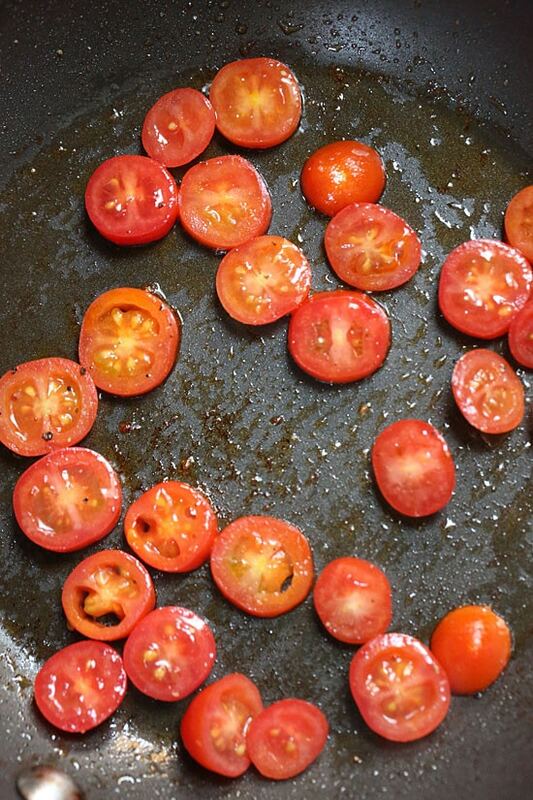 When hot, add the oil and tomatoes, season with salt and pepper. Cook about 1 minute, then add egg whites. Cook until the eggs are completely set. Top with fresh herbs if desired. Tried this today and absolutely LOVED it. Next timeI will use fresh basil instead of dried. Thanks for sharing. Do you think this could be made ahead of time? I’d like to make some on the weekend and take to work with me! It’s been delicious when I make it for lunch! I think this is my favorite breakfast recipe so far! Less than 200 cal, super quick and easy, and really tasty! 10/10 will make again! Great! I love this one too! Just made this added spinach and used low fat mexican blend cheese it's soooo good! This has been one of my favorite breakfasts since you first posted it. Tried it this morning with a tablespoon of homemade skinny pesto mixed into the egg whites. So tasty! This is delicious — it has been my go-to breakfast this summer when I'm working at home and have time to cook. I add fresh spinach if I have it. It's really good with whole eggs too. I usually flip it over so the cheese gets a little brown and extra gooey. I'm so happy I found your blog this summer. It's been so helpful when making meal plans. Love this! I made it for dinner with a spinich salad on the side. I added basil and it was delish!!! Love this blog!!! Where did you get that silverware?!?! Making this today for breakfast today! I love it when I save your recipes it tells me "verifying freshness", cracks me up all the time!! This was delicious! I didn't have cherry tomatoes just whole ones. I just slice it and had a tomato in every bite. YUM YUM!! I don't often comment, but I had to let you know how much I love this dish!! I have made it twice now using one large egg and one egg white (going for an extra protein kick). 🙂 It's delicious, filling, and super simple and quick to make. Thanks, Gina! I made this for breakfast this morning. Really, really good. I added some asparagus to it. As a Weight Watcher I wanted to bulk it up a bit. Delicious. Only thing is when I made this it totally fell apart when I tried to fold it, not sure if that's normal. Still tasted great, which is what matters. I used regular tomatoes not grape tomatoes for this. Very good. I make egg whites in the microwave almost daily so this was a nice change. This was so yummy. I have also tried adding mushrooms, spinach, and onions to it as well. Very good and filling breakfast. Thanks so much for all of your recipes. I LOVE your site. You are helping me to feed my family very YUMMY recipes while still losing weight with Weight Watchers. I hit 50 pounds lost today and some of that is thanks to you!!! Please keep on adding recipes. We really appreciate you. This was AWESOME!! So easy and yummy, and perfect for after my spinning class this morning along with a green smoothie. Thank you! Will be doing this one often!! Yum! Adding this to my healthy breakfast rotation! Did you realize the photobucket images beneath your header are gone? I hate it when Photobucket does that. This was so good Gina! I made it last night for breakfast this morning after the gym and it held up great! Thanks for a new go to breakfast!! I made this for lunch today too. It was so good! 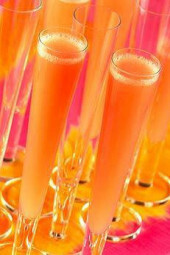 We are always looking for new variations of meals (especially breakfast foods). Made this for lunch…it was awesome! I added fresh basil on top, yummy! 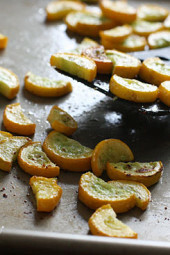 This looks like it would make a great light dinner with some veggies on the side! Will definitely be trying it out this week. I made this for breakfast this morning and it was delish. But when I added the ingredients into My Fitness Pal – the calories and fat were almost double that what you posted. Mostly coming from the cheese. I used part-skim as noted in the recipe. Should have used reduced fat? It was still a healthy breakfast but I was bummed that mine came out to 244 calories. Gina, I've been using your recipes for about a year and half now — they helped me reach my WW goal, and now they're helping me maintain my goal weight. Thanks! Just made this for lunch with one jumbo egg + one jumbo egg white. Delish. love the idea of this pizza. Im going to try it for breakfast soon! I've got all of these items in my pantry. Now I know what's for breakfast tomorrow! I just made this and it was very good!! This was really good- I made it for breakfast this morning- I used Egg Beaters egg whites, and it turned out great! If I make it again tomorrow, I may add some spinach as other readers have suggested. Thanks! I make this kind of omelet all the time, it's my favorite! One of the best combination is tomato, basil, and mozzarella! Now I want one for breakfast!!! yes, they are basically egg whites colored yellow. oh my gosh this looks amazing! Although I would be seriously tempted to add some spinach to it for a little more green 🙂 YUM egg whites are a fabulous way to start the day! I love how simple it is, thank you!! Looks great! It's so simple… I'm going to do this tomorrow for breakfast! Thanks for sharing! If i double the egg whites how many points? And if I used two regular eggs- yolks included how many points? Love the simplicity of this – will have to try re-creating it. Thanks! Beautiful! I've been craving tomatoes like I've been craving summer. I'm all about these veggie and egg combos lately. In fact, I just got done eating left over chicken from your enchilada recipe topped with sauteed onions and peppers and topped with two eggs cooked medium. It was yummy. Ok, this looks sooo much better than my egg white scramble with salsa and shredded cheese. Just whipped this up, simple and delish! I didn't have any shredded mozzarella, so I tore up a piece of string cheese, and added spinach. I always keep a carton of egg whites on hand because they are so quick and easy. Yum! I love pizza! I can't wait to try this with nutritional yeast. Egg whites are my new favorite…I also add spinach & oregano also some red pepper flakes….YUMMY!!!!! Yum! How many egg-whites would 1/3 cup be. 2 or 3? This is my fave way to eat eggs! I usually add a little fresh basil DELISH! I just made this and didn't have any herbs, but had some spinach… I called it pizza and my 3 year old picky eater ate some… YAY!! I love Target too and I love those yellow forks and knives! That omelet looks great, I have all the ingredients in my fridge to make this.